Natural and affordable herbal remedies for everyone. Nature abounds with forgotten remedies for countless health problems, and alternative medicine and natural healing have reached into every facet of our lives. 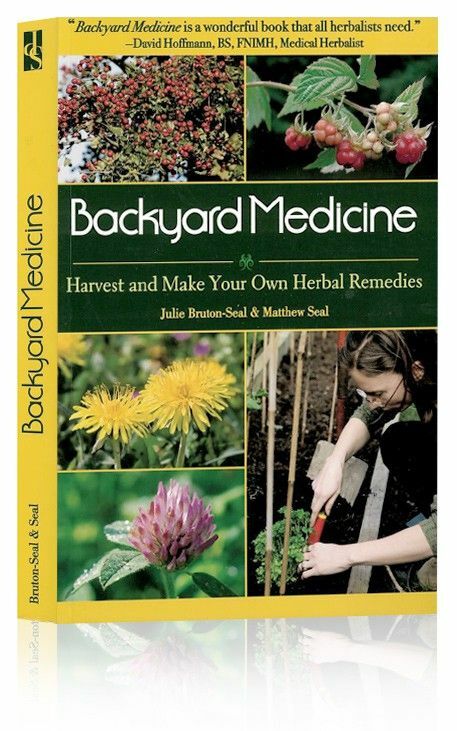 Backyard Medicine (paperback, 225 pages) is a beautiful book, packed with nearly 300 color photographs and over 120 herbal remedies that you can make yourself. It gives a fascinating insight into the literary, historic, and world-wide application of the fifty common plants that it covers. It is the sort of book you can enjoy as an armchair reader or use to harvest and make your own herbal remedies from wild plants. Anyone who wants to improve his or her health in the same way that human-kind has done for centuries around the world, by using local wild plants and herbs, will find this book fascinating and useful.